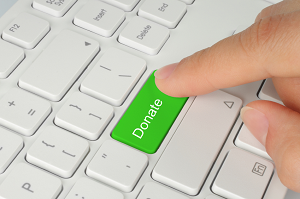 Voting that Gives Back – Encourage Election Participation with Donations! Voting is a right, a privilege, an obligation, an honor. For many, voting is reward enough in itself. For others, it can take an extra nudge in the right direction. Surprisingly, we’ve found that a great incentive to get your members to vote can be giving back to others in the form of donations. The number one challenge facing member organizations and associations with their elections is participation. Voter response helps judge engagement, ensures the election is valid and helps determine the return on investment of the project. Your organization makes a substantial donation to a favorite charity if a certain participation level is hit. Keep members posted on the progress towards the donation goal to generate further buzz and keep the election excitement going. Election participation grows when voters are incentivized with something meaningful. When you tie a charitable cause to your organization, you can make an even more emotional connection with your voting members. Remember to check your organization’s bylaws to ensure contests and incentives are permissible.